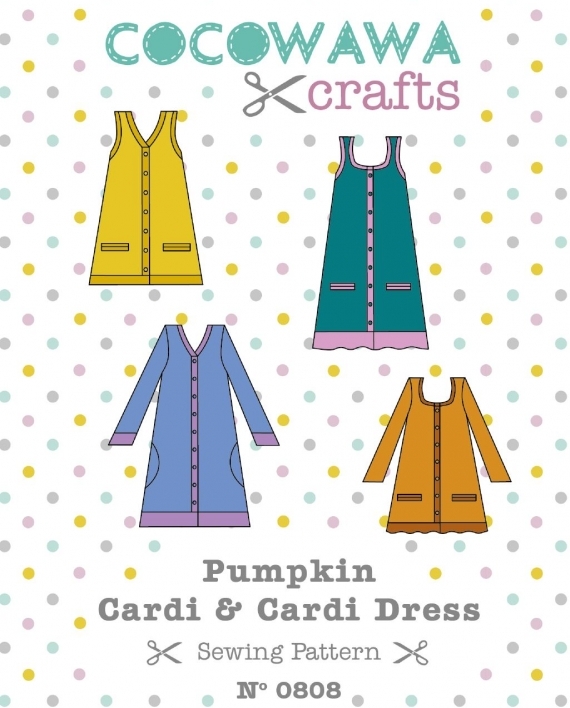 Buy the Pumpkin Cardigan and Cardi Dress sewing pattern from CocoWawa Crafts. This pattern is easy to sew and fit. It includes four options to make it your own: choose between sleeves or a sleeveless version, waistband or ruffle, scoop or lower scoop neckline, and bound or inseam pockets. The pattern comes with instructions and lots of tips to get the best results when sewing with jersey fabrics. 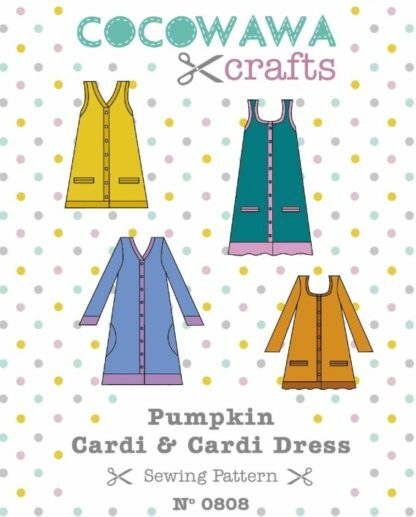 The Pumpkin Cardigan and Cardi Dress will become a staple, with a twist, in your handmade wardrobe. 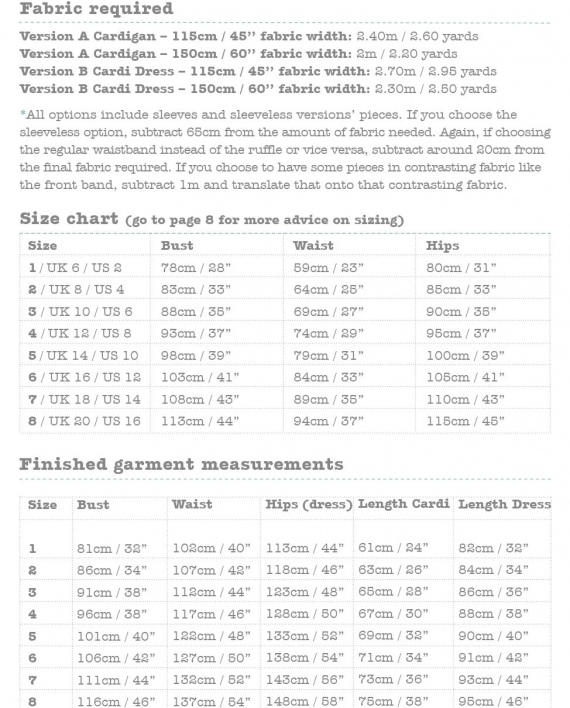 For the main body, sleeves (if chosen) and waistband or ruffle: any medium knit from 195 to 300 gsm with little stretch up to a maximum of 20% and with good recovery. 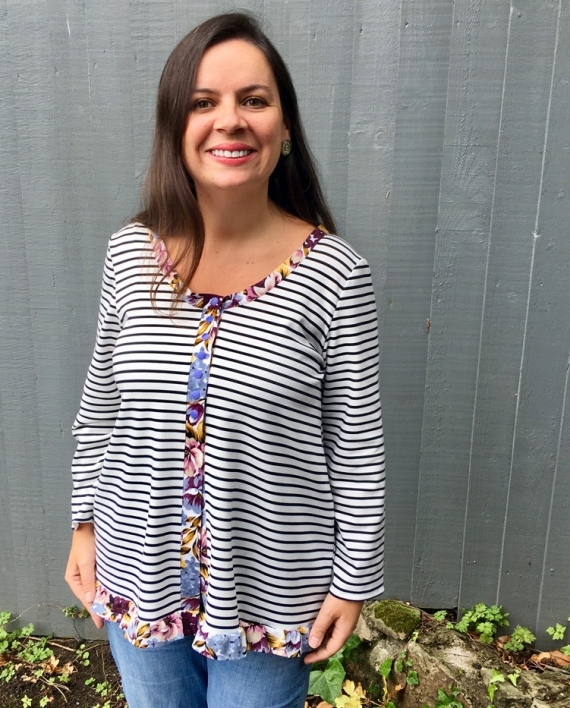 Stable firm knits, cable knit, knit fleece, sweatshirt fleece, sweater knits, French terry, ponte di roma, double knit, interlock; with a two-way stretch. 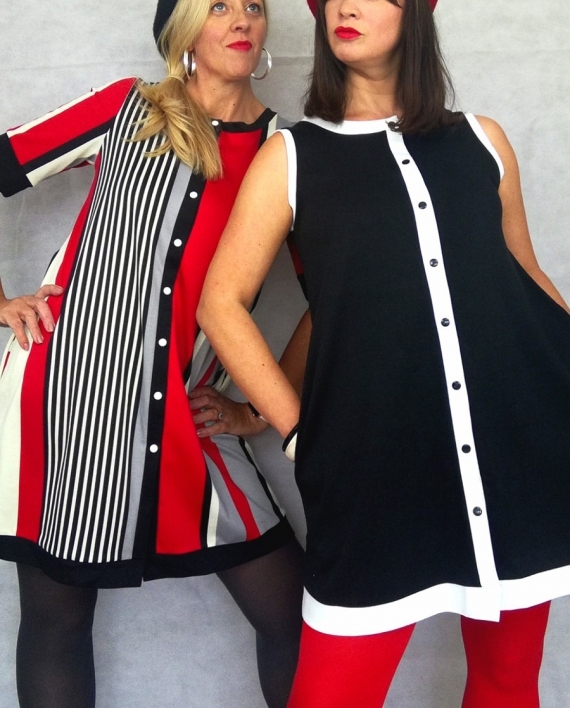 For the front, neckline and armhole bands, cuffs (if chosen), inseam pockets, pocket lining and welts: any light to medium knit up to 200 gsm with a stretch between 20% and 50%; with a two-way or four-way stretch. 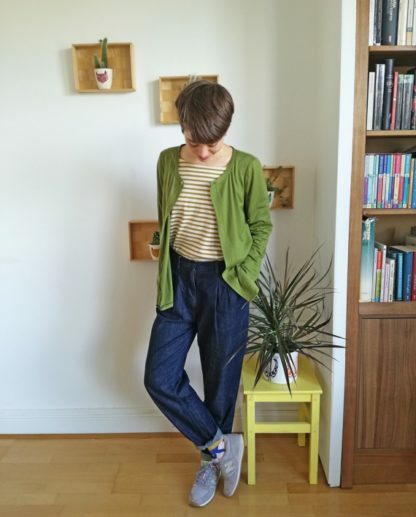 Also ribbing. Version A Cardigan: 115 cm wide fabric: 2.4 m // 150 cm wide fabric: 2 m.
Version B Cardi Dress: 115 cm wide fabric: 2.7 m // 150 cm wide fabric: 2.3 m.
Sizing: 6 – 20. 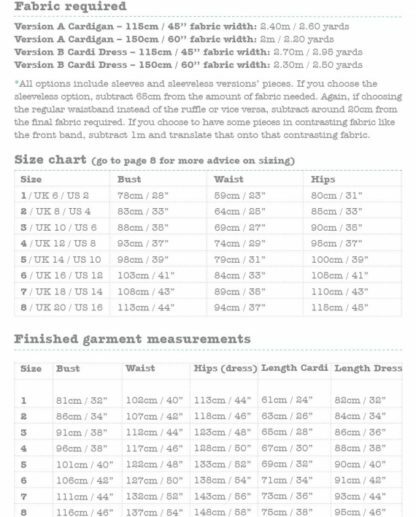 Please check the size chart and finished garment measurements. 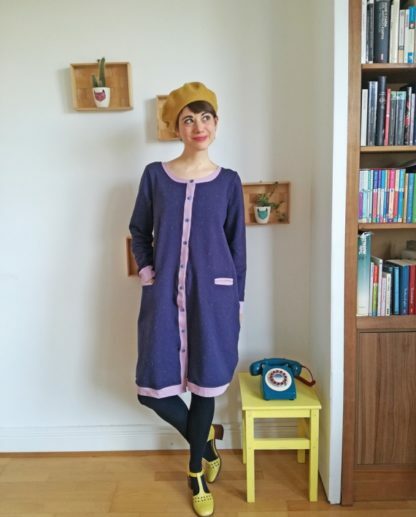 Notions: Thread; ballpoint needle and twin needle (optional); 1 m of knit interfacing; 8 (cardi) or 10 (dress) x 1 cm buttons or snaps. PDF pattern includes: Print-at-home A4 and US letter files and a copy shop file.